Our working philosophy is to always give the utmost information to our clients so that they are able to choose the route which most interests them. 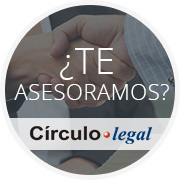 Despite being Law in a constantly changing sector, at Círculo Legal we try to combine the best of a classic law firm with new trends, always giving priority to our clients’ interests. Accordingly, we understand that obtaining our client satisfaction is the best way of retaining them so that they may once again count on us if needed. Our activity focus is not only directed towards work advice for companies, but also for workers. We sit on negotiation committees and participate in meetings between the company management and workers representatives. Our lawyers have sat on both sides of the table, giving us an overall view. Essential advice to companies and workers. Legal claims at all levels.